The quickest way to get defeated in a war is to think that you’re not in one, when in fact you are. I think St. Mark would like that opening line of my homily this morning. He’d like it because “war” is one of the themes of the gospel he wrote 2,000 years ago (which is the gospel that we will hear on most Sundays from now until the end of the liturgical year in November). And this war that Mark writes about is no ordinary war over things that don’t last (like earthly power and land and material possessions). 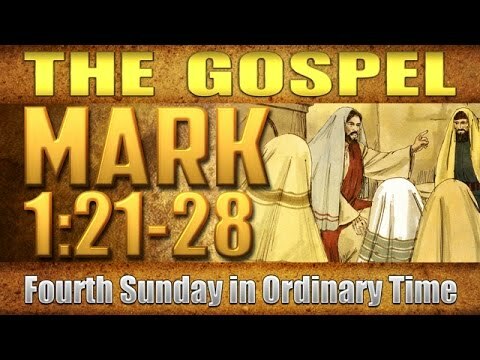 The war that Mark writes about in his gospel is a cosmic war: a cosmic war that affects the eternal destiny of every person who has lived, is living, and will live until the end of time. That’s what armies do in war, is it not? They kill their enemies and they destroy things. Now the good news is that Jesus has won the war! Cosmically speaking, the war against Satan was won by our Lord through his passion, death and resurrection. That’s the victory we celebrate at this and every Mass. But the war continues against US! Yes, Jesus has conquered the devil and made eternal life possible for us and for every human person. But we’re not there yet! We haven’t arrived. For us, the fight—the fight of faith—is not over. Here it’s important to note the fact that the devil is a very poor loser. And he will try to do that, you can be sure, each and every day for the rest of our time here on planet earth. This is the war which is going on in your life and mine, whether we are conscious of it or not. And many, unfortunately, are not. Which is scary because, as I said at the very beginning of my homily, the quickest way to get defeated in a war is to think that you’re not in one, when in fact you are. 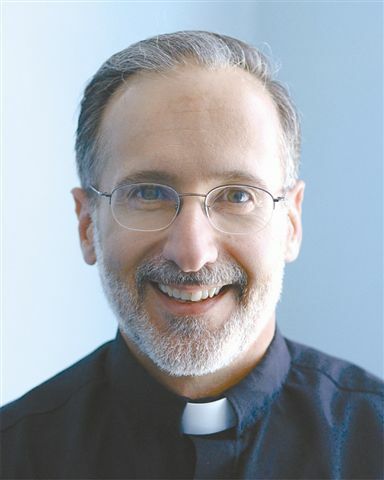 On that note, I came across a great article online the other day by Catholic author Jon Horvatt II. The article was about four of the strategies that Satan uses in the modern world to draw people away from Christ and to himself. And eventually, of course, into hell. I’ll share them with you this morning very briefly, because they can help us to understand our enemy and how he tries to defeat us. Sadly, according to many of the polls that have been taken recently, this strategy of the evil one is currently meeting with great success, since more and more people are identifying themselves as “nones” (that’s n-o-n-e-s, not n-u-n-s). Nones are those who claim no religious affiliation whatsoever. Some of them may not believe in God at all. Others in this group might believe in a god of some kind, but it’s more than likely a god that they’ve created in their own image and likeness—which is always a very flawed god (and certainly not the real one!). Satan’s third strategy to steal souls and bring them to hell is to disguise evil to make it look good. Unfortunately this is another strategy that seems to be working these days—especially in our country. Think of all the moral evils that people in our society approve of and promote as “good”: abortion, physician-assisted suicide, so-called gay marriage, gender ideology and all that goes with it (something that Pope Francis is always talking about)—even living together before marriage. All these things were once considered bad and sinful by almost everybody. Well it’s not God’s, that’s for sure! He’s not responsible for these changes in morality. This brings me to the final strategy that Satan uses in his war against us: He tries to get us to change the order of our priorities. Now that may not seem like a big deal at first glance, but it can be. For example, why isn’t this church filled to capacity this morning? Why aren’t there as many people here today as on Christmas and Easter? Unfortunately, for “Christmas and Easter Catholics” worshipping Jesus and receiving his Body and Blood on a weekly basis is not at the top of their priority list. It’s probably not on their list of priorities at all. Once again, that’s not the work of the Lord. Well, now we know! Now we know that we are, indeed, in a war; we know who our enemy is; and we know some of his tactics and strategies. May Almighty God help us with his grace—every day—to use these weapons and win the war! Lord, what did you see in me? Betray you out of fear? When danger came too near? Did you see my many stumbles? Did you see my countless falls? Thoughts tempting me to hate? Turn, for a moment, from heaven’s gate? A man more like the shifting sand? Would often refuse to take your hand? And clearer still than I can know. Despite my wish at times to go. Gave your life upon the tree. Your blood has made me free. You saw what I could be. I wrote that poem about a year ago, as I was reflecting on the life of St. Peter. Peter’s a biblical character that almost everyone can relate to—because he’s such a great representative of fallen humanity. Prior to the crucifixion and resurrection of Jesus, Peter had some moments of incredible brilliance, when he said and did the right thing—in some cases the best thing. But he also had moments of abject failure (as the poem indicates), when his character flaws led him to say and do the wrong thing. And it seems that Peter had the ability to go from one to the other in a matter of minutes. At Caesarea Philippi, for example, he identified Jesus as the Messiah, and our Lord called him “blessed”; then a few minutes later he objected to the upcoming crucifixion of Jesus, and our Lord called him “Satan”. At the Last Supper, he professed his loyalty to Jesus (“I will die for you, Lord!”); then, only a few hours later, he denied three times that he even knew Jesus! Bishop Fulton Sheen used to say that God has two images in his mind of each and every one of us: the image of the person we are right now (with all our sins, faults and weaknesses), and the image of the person he knows we can become if we allow his grace to change and transform us. Interestingly enough Bishop Sheen always added the point that in the case of the Blessed Mother, there’s always been only one image in God’s mind. Unlike us, she was perfect. Because she was free from all sin, she was everything that God called her to be. The rest of us are like Peter. Catholic author Matthew Kelly talks a lot about striving to become “the best version of yourself.” That, he says, should be the goal of every Christian’s life. But, strictly speaking, it’s a goal that’s unattainable here on this earth, because we’re all sinners. The only human person who was the BEST version of herself was our Blessed Mother—because she never committed a personal sin. And yet, if you strive for perfection, it is possible in this life to become a BETTER VERSION OF YOURSELF! That’s a goal that everyone can reach. 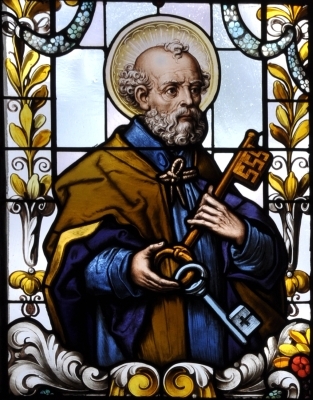 It’s even possible to become a MUCH BETTER VERSION OF YOURSELF, which is what Peter and the other canonized saints of the Church became. If you want to be a better version of yourself, you need to listen to God as he speaks to you—especially through his Church—and you must make the effort to obey (neither of which is too popular these days. Most people would rather talk than listen, and very few want to obey God—or anyone else in authority, for that matter). Here we’re reminded that becoming a better version of yourself involves fighting against your lower nature—and that’s a constant battle for most of us. But it’s a battle worth fighting! So we must never give up! And finally in the gospel, Andrew and another disciple (probably John) begin to follow Jesus, and they spend most of the day with him. The text says, “So they went and saw where Jesus was staying, and stayed with him that day.” This is a reminder that if you want to be a better version of yourself, you have to spend some time—some quality time—with the Lord. And you need to do it often! Having a regular, daily prayer time, in other words, can’t be an option. It needs to be a priority—along with Sunday Mass. Peter, thanks be to God, did all these things. He listened to Jesus, he obeyed Jesus, he fought against his lower nature (especially when it came to his temper), and he built his life on prayer and the Eucharist. And so, in spite of all his weaknesses and failures—that we see so clearly in the gospels—he eventually became a saint. God also sees what we can be, regardless of what our past has been, if we follow the example of Peter—the man who eventually became our first pope. Sarah and Amy go to the same medical school, attend the same classes, get the same grades and graduate the same year. Sarah becomes a pro-life doctor; Amy becomes an abortionist. Fred and Joe have been friends since they were in grammar school. They are also computer geeks—and have been for many years. Each majored in computer science in college and graduated with honors. Fred now works for Microsoft; Joe is a hacker who spends most of his time breaking into databases and stealing people’s identities. John and Bill both call the local bank on Monday afternoon. They ask what time the bank will open on Tuesday. John wants to know because he wants to cash a check and make a deposit; Bill asks because he’s planning a robbery. Those, my brothers and sisters, are three examples of the point I want to make in this homily: What matters most in this life is not what you know; what matters most in this life is what you DO with what you know. Sarah and Amy knew the same things. They went to the same medical school and the same classes; they received the same grades and graduated the same year. Sarah used the knowledge she gleaned from that experience to help and heal people; Amy used that same knowledge to kill babies. Fred and Joe both became experts at programming and working with computers. Fred put his knowledge to work at a big computer company; Joe put that same type of knowledge to work ripping people off and ruining them financially. John and Bill both found out when the bank opened on Tuesday morning—but they wanted to use that knowledge in very different ways. John wanted to make a legal deposit into the bank; Bill wanted to make an illegal withdrawal out of the bank! What matters most is not what you know; what matters most is what you DO with what you know. Both Herod and the Magi wanted to know the same piece of information—but they intended to do very different things with that knowledge, didn’t they? The Magi wanted to know where the newborn king was so that they could honor him and give him gifts. Herod wanted to know where the child was so that he could kill him. Thankfully, the Lord intervened through a dream and Herod never found out where Jesus was. Although, that didn’t stop Herod from doing evil. He used the knowledge he had gotten from the scribes and chief priests about where the Messiah was to be born (namely Bethlehem), and he had all the boys in that town 2-years-old and under killed. Herod had a bad habit of using his knowledge for despicable purposes. What matters most in this life is not what you know; what matters most in this life is what you DO with what you know. We are called as Catholic Christians to use the knowledge we have for good and not for evil. Always! We’re called to be like that medical doctor, Sarah, whom I spoke about at the beginning of my homily. As I noted earlier, she used the scientific knowledge she received in medical school to bring health and healing to other people; Amy, her abortionist classmate, did the exact opposite. It’s people like Amy, by the way, who often accuse the Catholic Church of being anti-science. But that’s a lie. The Church is not against science! What the Church is against is using scientific knowledge for evil purposes—like killing an innocent child in its mother’s womb, or destroying human beings in order to get their stem cells to do research, or creating human life in a petri dish. 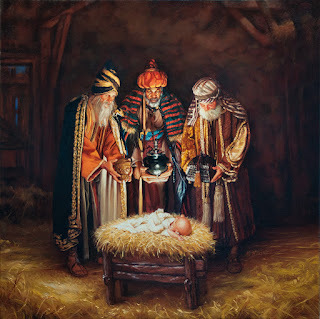 The Magi, as I’ve said in homilies before, were men of faith and science! That’s important to remember. They were probably from Persia (which is modern-day Iran) and they were highly educated—in philosophy, in medicine and in the natural sciences. And they didn’t waste all that knowledge they had accumulated over the years. As the Christmas story in Matthew makes clear, they used it to do something good—something very good. They used their knowledge (primitive though it might be by our standards) to find the newborn king of the Jews and give him the honor that he deserved. In that, they are great role models for all doctors and scientists and researchers today. And for the rest of us as well. It’s not what you know; it’s what you DO with what you know. May the Lord, by his saving grace, help us to do what’s right and just and good and holy in every situation of our lives. Amen. This, of course, is a complete misunderstanding of what the Church means when she calls Mary the Mother of God. What the Church is actually telling us in that title is something very important about Jesus and his identity. It’s telling us that Jesus was (and is) a divine Person. Yes, he had a human nature as well as a divine nature, but he was a divine Person: the Second Person of the Blessed Trinity, who took on human flesh in the womb of the Blessed Mother. 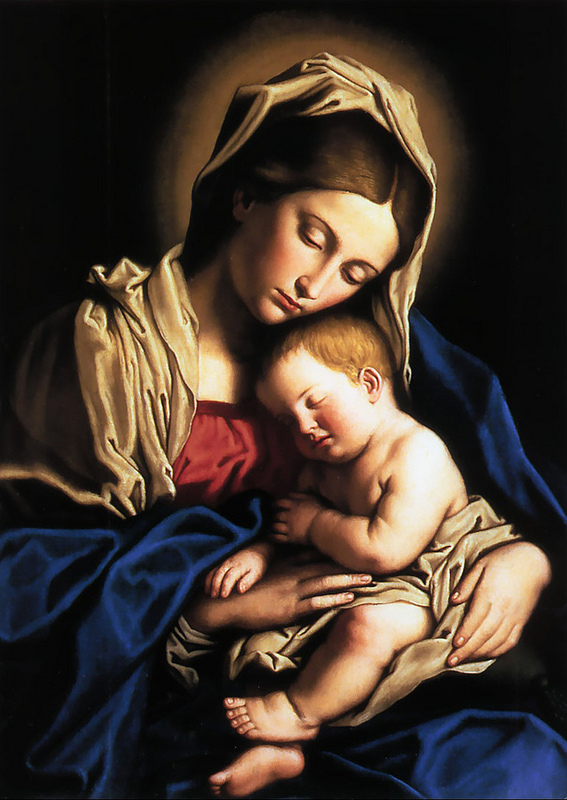 In fact, you could call Mary the “earthly Mother of a divine Person” and it would mean the same thing. When I was a student at Providence College in the late 1970s, I was taking a theology exam one day that had several true or false questions on it. One of those questions was this one: Jesus was a fully human person. True or false? I said, “True”—which, of course, was wrong. And it shocked me when I got the test back, because I didn’t fully understand the theological distinction at the time. Now the interesting thing is, if the statement had been: Jesus was fully human. True or false? then the right answer would have been “True”, since, as Scripture says, Jesus was a man like us in all things but sin. “Fully human”—yes! “A fully human person”—no! Ever since I got that exam question wrong I’ve never forgotten this teaching and this truth. But it’s easy to do. In fact, recently I was previewing some of the videos that we’re going to use in our Bible study on the Gospel of Mark, and I discovered that on one of them the presenter—a woman who has an advanced degree in theology—refers to Jesus as a human person 3 or 4 times! She, of all people, should know better! So it’s a common mistake. Mary was largely responsible for that growth and progress of Jesus in his human nature. Now the good news is, because we’re Mary’s adopted children, she will also assist us in our growth and progress in the faith, if we seek her prayers and help. That’s why it’s so good to begin each year by focusing on Mary. Our primary goal on January 1 every year should not be to get rid of the 10 pounds we put on during the month of December (although that would probably be a good idea!). Our primary goal on January 1 should be to grow and progress spiritually during the next 52 weeks, and become better disciples of Jesus Christ.